Compugraphic and Harris target completely different markets but their new systems are both hugely influential. 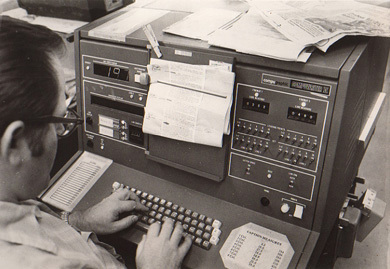 The CompuWriter series of machines are Compugraphic’s first phototypesetters that allow operators to output text directly without the use of tape. They are targeted at small print shops, advertising agencies, and publishers and marketed at a very reasonable $6,950. The original CompuWriter includes two 96-character typefaces in sizes from 5 to 12 points. Using a manual lens change the type size can be increased to 24 points. A later model, the CompuWriter II, offers 3 or 4 fonts. Below is a picture of the keyboard of a battered CompuWriter II. Note the copy holder in the middle and the lack of a monitor. 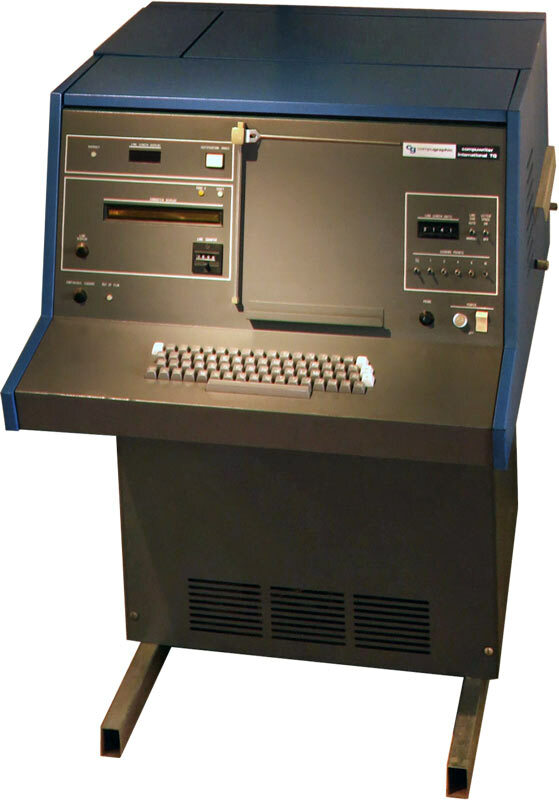 The Compugraphic 9000 ACM is the second CG machine introduces that year. 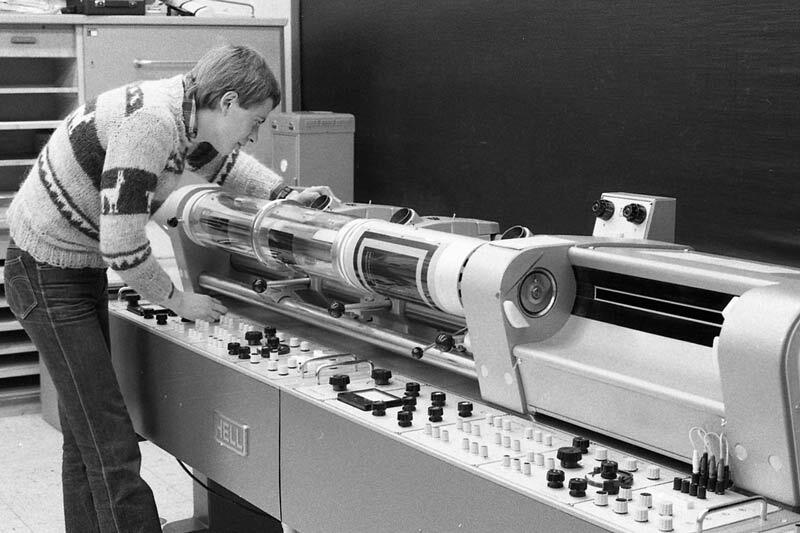 It is a so-called ‘area composition machine’, dedicated to composing the text of adverts for newspapers and weeklies. The system can set text in eight styles between 6 and 72 points but it has no monitor. The operator has to previsualize the final output and hope it matches his intent. 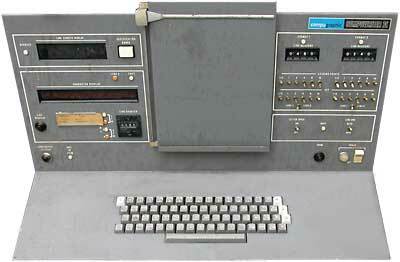 The Harris 1100 is the first video editing terminal. The device lets operators read text from punched paper tape, alter it and then produce a new tape. It is bought by 30 newspapers and commercial printers in the United States. Fairly quickly a series of similar systems appear, including the Mergenthaler CORREC Term, Hendrix 5700 and the Mohrtext system. The Autologic APS-4 is launched. It becomes the dominant composer in the newspaper market. As a commercial spinn-off of a project at the Helsinki University of Technology Finish company Typlan Oy creates a flat planner, a software package to work out the planning of a newspaper. It can visualize a diagram of the newspaper pages on a video terminal. Crosfield Electronics introduces the Magnascan 450, the first scanner that uses a minicomputer to electronically enlarge and reduce the image. Abhay Bhushan writes the original specification for FTP, the File Transfer Protocol. It will still take nearly three decades before this becomes a popular way of exchanging data between designers and printers. Xylogics launches its first production system for newspapers. Quad/Graphics is founded by Harry and Elizabeth Quadracci. It will become one of the largest magazine printers in the world. Project Gutenberg, a digital library of public domain books, is launched. The Aswan dam officially opens in Egypt. The Bretton Woods system ends: the US dollar is no longer convertible to gold at a fixed rate. Five hundred thousand people protest against the Vietnam War in Washington DC. Bangladesh declares its independence from Pakistan. Greenpeace is founded in Vancouver, Canada. According to some sources the 9000 ACM is from 1970 while others claim it was launched in 1971. History can be confusing indeed.